Looking for a great way to stay in shape, learn how to defend yourself, and challenge your body and mind at the same time? Look no further. Our Adult Martial Arts Classes in New Braunfels help men and women get more from their workouts and walk away with a practical set of skills - both mental and physical. At Family Jiu Jitsu, we train a wide range of students and invite all experience levels to check out these high-energy classes. Perfect for ages 15 and older! Students come to Family Jiu Jitsu for a wide range of reasons. From high-level competitions to everyday self-defense, we help men and women achieve their goals no matter what they might be. Our Adult Martial Arts system relies on a blend of stand-up Karate and traditional Jiu Jitsu to give you a well-rounded approach to self-defense and push your body to be stronger and more efficient in everything you do. COMING SOON: Over 55 Martial Arts Training! Who said Martial Arts training has to end at a certain age? Not us! Our Over 55 classes offer men and women a great way to stay active without the boring routines of your big box gym. Learn self-defense and train your entire body in a low-impact setting that's great for all skill levels. We all know the stresses of life can weigh on us. Whether its schoolwork, job responsibilities, or the build-up of everything that life throws our way, we're here help you escape the noise and feel refreshed when you walk away. Learn More About Our Adult Martial Arts Classes In New Braunfels Today! Don't feel stuck in your routine and don't neglect physical activity because you feel intimidated. Our Adult Martial Arts Classes in New Braunfels are perfect for men and women of all skill levels. Our dedicated instructors are here to help you get the most out of every class. Join us in New Braunfels today! Just fill out the short form on your screen to learn more! Family Jiu Jitsu is amazing. The instructors are top notch and call out the best in every student. We’re not a class, we’re a family. My kids and I absolutely love Family Jiu Jitsu Karate. Everyone is so welcoming and eager to help eachother learn. I'm so thankful to have been introduced to everyone here. It truly is another Family!!! 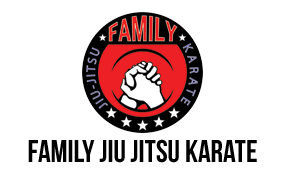 Family Jiu Jitsu Karate is an awesome place to train. The instructors have incredible amount of global experience and a passion for teaching. The people that train here, train hard and help everyone, egos are not tolerated. Myself and 3 of my children train here and we all look forward to every class. All experience levels are welcome!